The key word when describing Ellis Bridals‘ 2017 Collection is variety. They have definitely not shied away from providing today’s bride with options. A wide use of fabrics, textures, silhouettes and colours gives this new collection a very eclectic and modern feel – perfect for a bride who enjoys thinking outside the box. 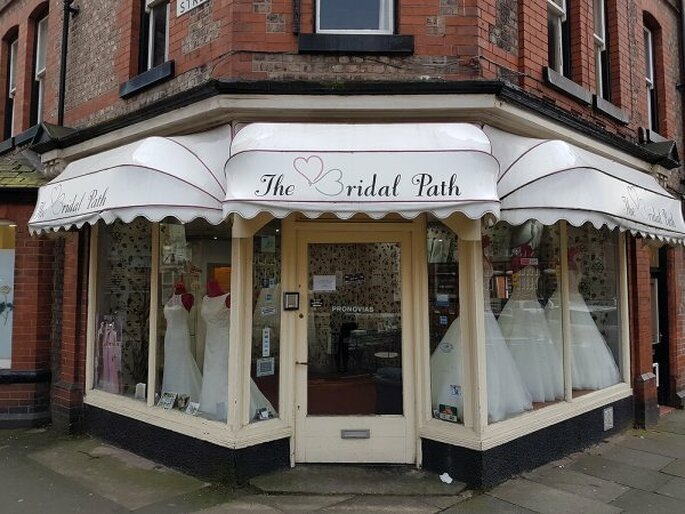 The Bridal Path is the number 1 bridal boutique in Altrincham with more than 14 years of experience in providing beautiful bridal wear to the public. 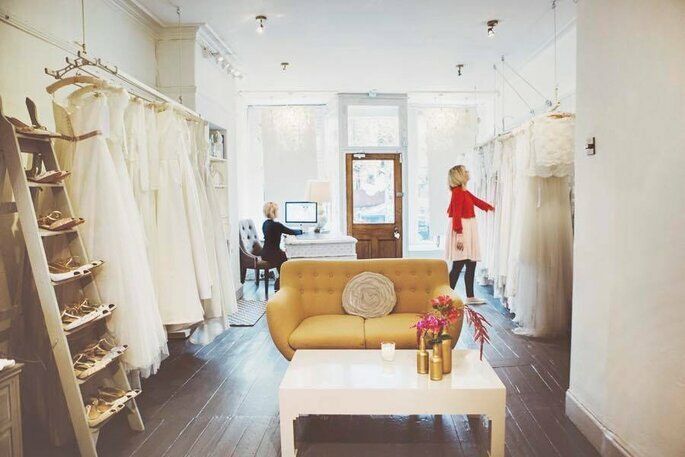 Awarded for its fantastic service, this boutique endeavours to make you wedding dress shopping experience one to remember for all the right reasons. 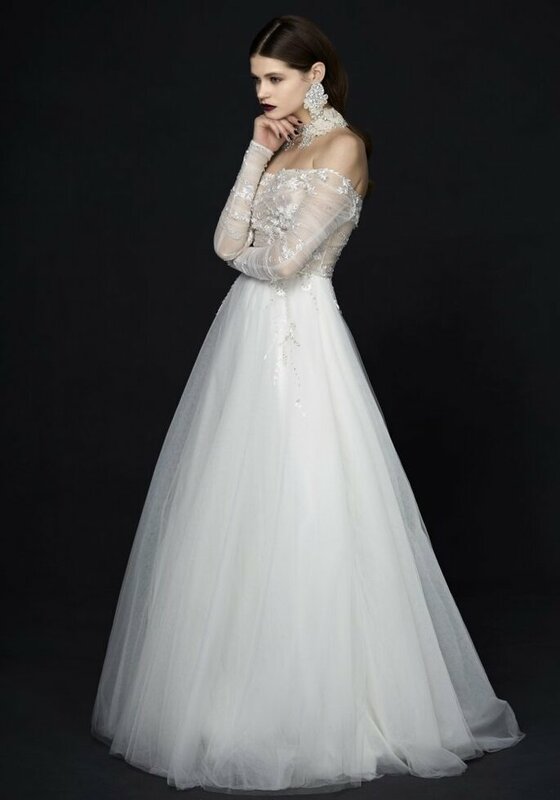 Stocking a range of dresses and accessories from some of the biggest names in bridal fashion, in sizes ranging from 6 to 26, you can’t go wrong with The Bridal Path. Jenny Packham is a pioneering name in British bridal couture. She revolutionised the bridal fashion scene with her distinctive style in 1988 by introducing contemporary design to the bridal world. Her 2017 Collection is the epitome of casual-chic, class and sophistication. With slinkier silhouettes and no frou-frou in sight, Jenny has captivated what it means to be a glamorous bride who wants to be comfortable in her wedding dress. 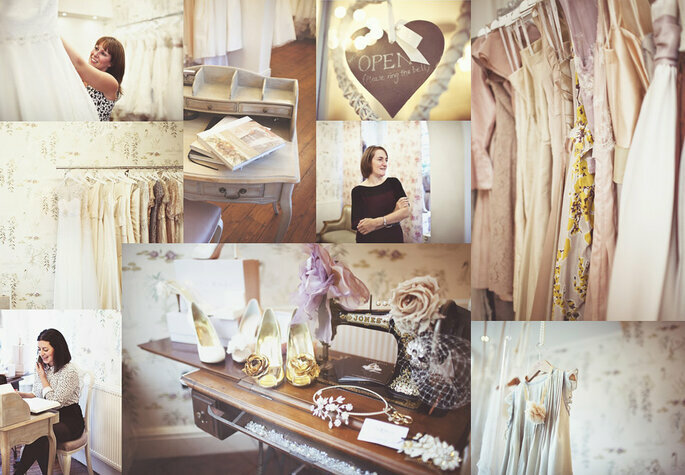 Multi award-winning bridal boutique The White Closet is a company that celebrates individuality when it comes to style. Established in 2009, it has almost 10 years of experience in the bridal sector and still endeavours to bring a bit of je ne sais quoi to bridal fashion. Its stock includes some of the biggest names in wedding dress design – especially those who aren’t afraid to push some fashion boundaries. The White Closet opened a second boutique in Liverpool in 2015. Caroline Castigliano is one of the best connoisseurs of luxury bridal wear in the world. She incorporates ladylike and sensual silhouettes into her collections in a bid to capture femininity and run with it. Her 2017 Collection is an amalgamation of effortless elegance and and classical understatement – nothing over the top or garish, just sophisticated designs to suit a traditional bride. 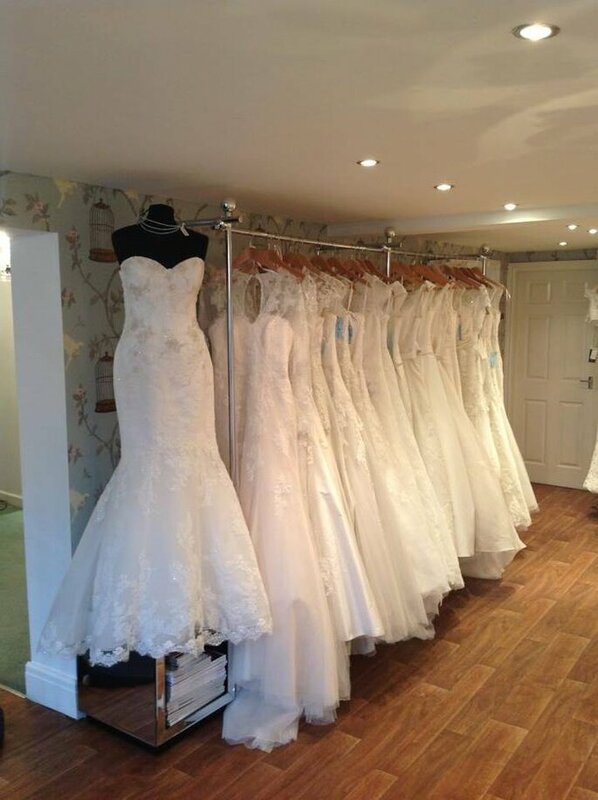 Agapé Bridal Boutique, located just outside Altrincham, consists of a fantastic team of talented and qualified seamstresses and designers with years of experience in dressmaking, millinery and styling behind them. They work tirelessly to ensure that each bride realises her wedding day vision and leaves their boutique delighted with her choice and excited for her final fitting. The team at Agapé Bridal Boutique offer a bespoke and personal service and aim to make each bride feel like the best version of herself. 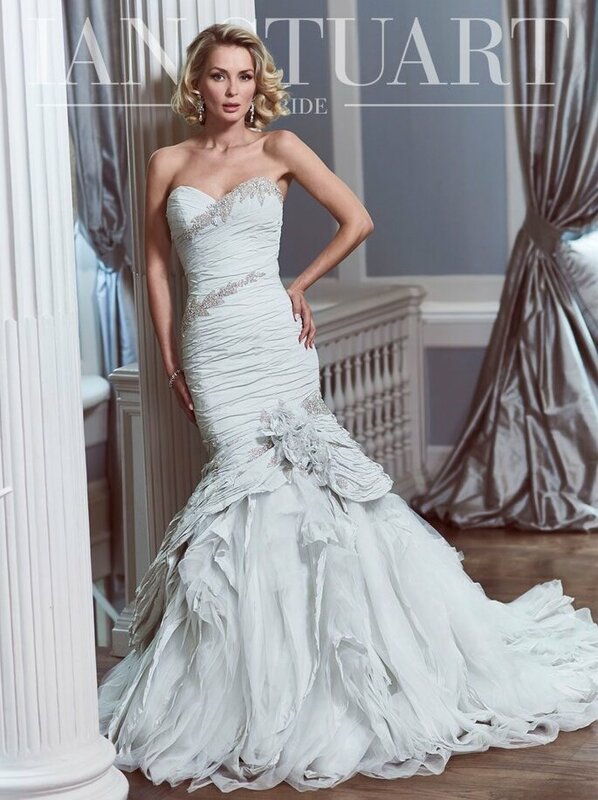 Ian Stuart is a wedding dress designer who makes all his dresses made to order, meaning that your dress is guaranteed to be a perfect fit to your body. His 2017 Collection is comprised of a combination of traditional, more classic styles including lots of ruching and the ever-popular sweetheart neckline; and more modern and slinky silhouettes to accentuate the feminine shape. Maria Modes is the perfect place to go to deck out your bridal party (men included!) Located in Macclesfield, the team at Maria Modes will cater to your needs and make sure you leave their boutique feeling like a queen. With dresses ranging from just £150, and the fact that they carry some of the biggest brands in the industry, you are sure to find the dress of your dreams in this boutique. For sophisticated, chic and feminine wedding dresses, Suzanne Neville‘s 2017 Collection is the collection for you. She combines a range of different silhouettes and materials to cater to brides of all shapes, ages and styles. Two-piece sets are also present in this collection, ideal for a modern bride who enjoys being avant-garde and daring with her fashion sense. Suzanne Neville‘s very own flagship store is, naturally, your best bet for nabbing the dress of your dreams from her 2017 Collection. 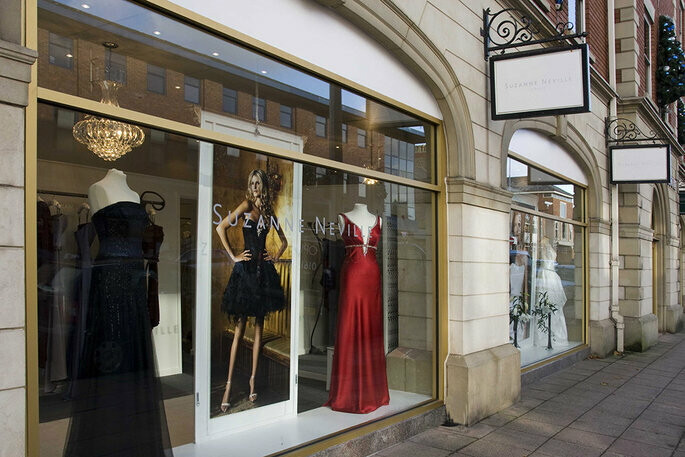 Located in Wilmslow and boasting made-to-measure fitting, impeccable service and a team dedicated to making sure every appointment is perfect and that you leave with a dress that fits you like a glove, you can be sure that Suzanne Neville Wilmslow will be an experience to remember. Alan Hannah wedding dresses find themselves at the forefront of pioneering wedding dress design. The head designer, Marguerite Hannah, is one of the most respected couturiers in England. She has over 25 years of wedding industry experience and through that is able to create collection upon collection of magnificent bridal gowns. The Porcelain 2017 Collection is a collection of simple, understated and elegant dresses, featuring intricate bead-work and bardot necklines. 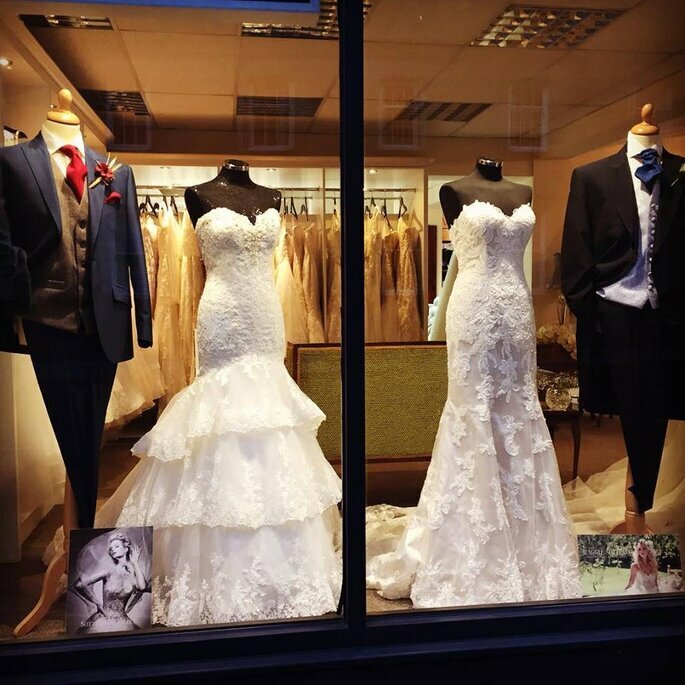 The Bridal Lounge in Stockport, established in 2001, is a haven for brides who don’t necessarily have a set idea of which dress they want in mind. Stocking a wealth of bridal gowns from many different designers, from the smallest to some of the biggest names in bridal fashion, they will leave you spoiled for choice when it comes to deciding on which dress you want for your big day. The Bridal Lounge also offers a unique dressing service where they will come and dress you and your bridesmaids on the day of your wedding to relieve stress. How great does that sound! 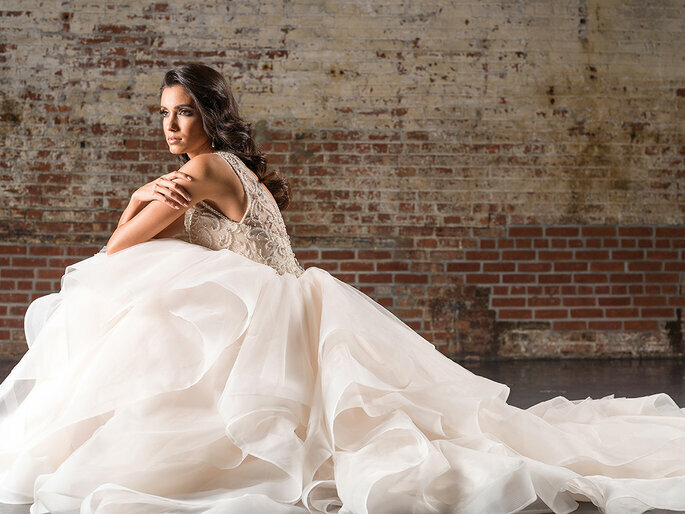 For brides looking for a dreamy and ethereal dress, Justin Alexander has heard your prayers. With lots of free-flowing fabrics that move in harmony with the body, and silhouettes that exude femininity, his 2017 Collection is a myriad of designs to suit a bride who wants to look elegant and refined on her big day. Delicate beading, ruffles and exquisite lace make wearing a Justin Alexander dress a real treat for any bride. Fairytale Brides in Whitefield, Manchester carries an extensive range of bridal gowns from an array of different designers to ensure that your dress shopping experience is limitless and fun. They also offer shoes, veils and bridal accessories such as tiaras for you to get the most out of your visit. The team at Fairytale Brides are dedicated to giving you the full package and not letting you leave the shop unsatisfied. Amanda Wyatt‘s classic and sophisticated designs are a great port of call for a bride who enjoys traditional bridal couture with a bit of a twist – she incorporates elements of contemporary design to marry the two styles together and make you feel a million dollars on your wedding day. Luxurious lace, tulles and organzas and delicate detailing are featured in a lot of her dresses which makes her one of the most sought-after British wedding dress designers in the industry. And rightly so! 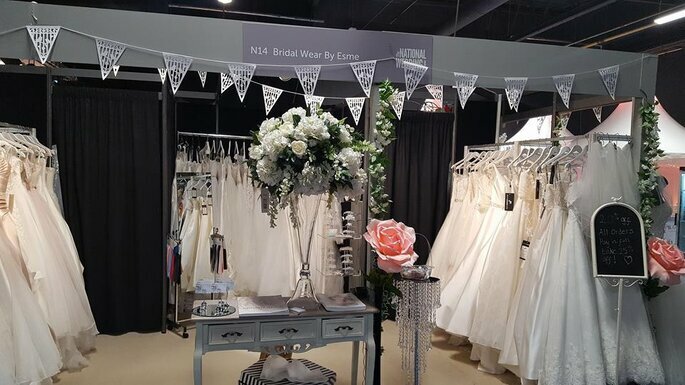 Bridal Wear by Esmé has more than 30 years’ experience in the industry, making them bona fide experts in making your wedding dress shopping experience a walk in the park. The staff are friendly, welcoming and knowledgeable on all things wedding and will be able to help you select the perfect dress for the big day of your dreams. The team at Bridal Wear by Esmé will also assist you in choosing your accessories so that you can get everything sorted in one fell swoop, and even pack your gown for your Destination Wedding free of charge! So there you have it! Our top British Wedding Dress Designers and their stockists in the North West. We understand it’ll be difficult to choose your favourite, so make sure that you waste no time and get into contact with your nearest stockist to make sure you can nab the dress of your dreams in good time! Why not accessorise your beautiful gown with a stunning bouquet of flowers or even an alternative bouquet made of buttons or felt for something a bit different. Don’t forget that a beautiful dress needs beautiful bridal shoes to go with it, and you’d be silly not to go for something incredible! Why not opt for some glamorous ballerina-inspired flats for optimum elegance and comfort?